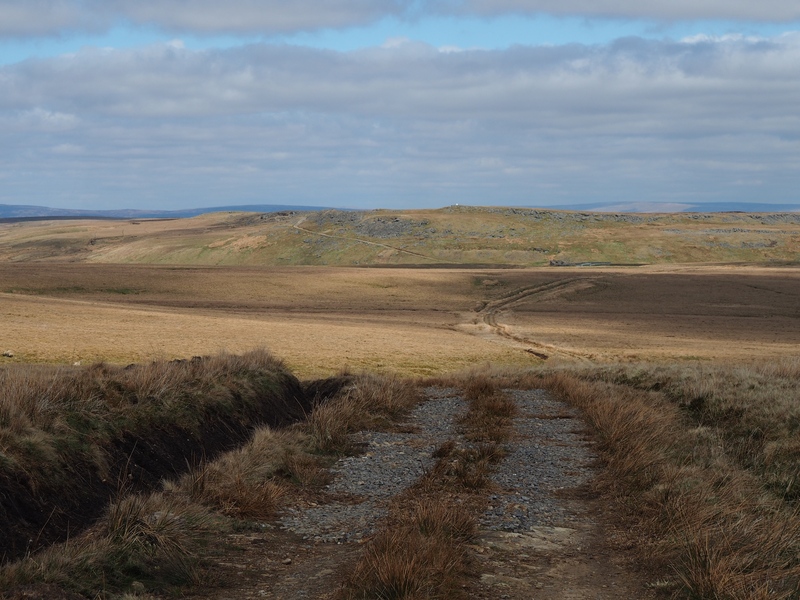 High Greygrits is a fell to the north-west of Tan Hill Inn, standing just above the minor road from Tan Hill to Barras. 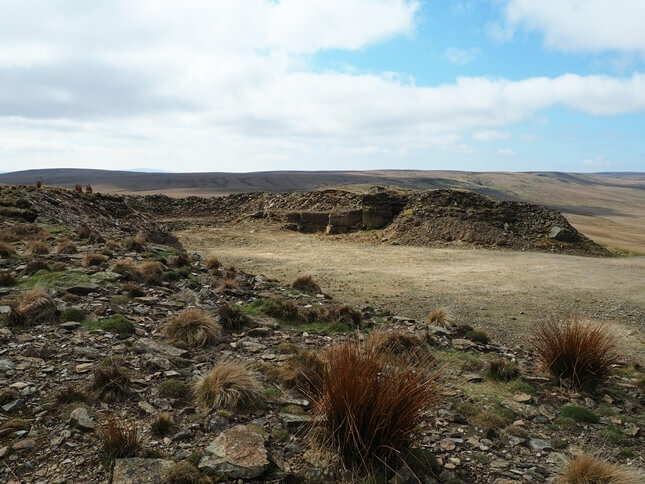 High Greygrits is situated almost exactly two miles along the road leading north-west from the Tan Hill Inn. 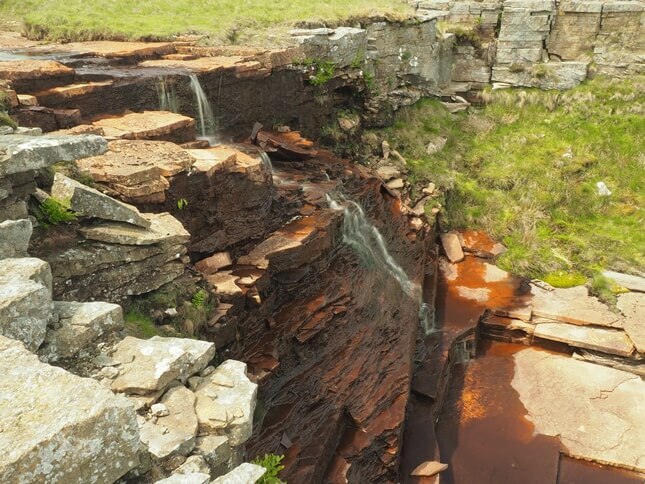 It is actually situated just outside the boundary of the Yorkshire Dales National Park. 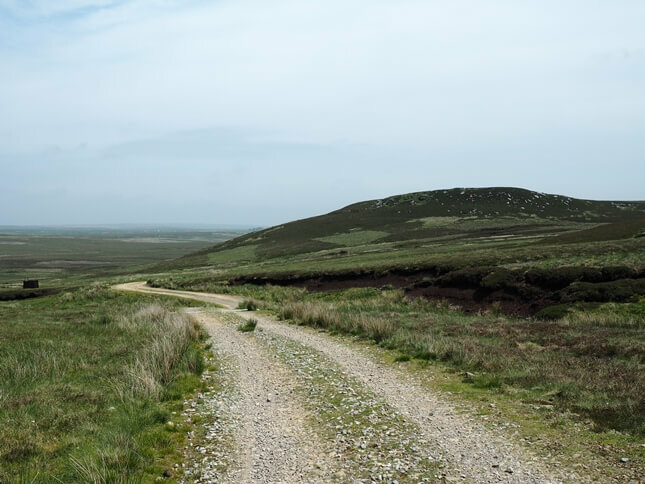 Although it is part of the North Pennines Area of Outstanding Natural Beauty it is south of the A66 so, for the purposes of this website, it is classed as part of the Yorkshire Dales. The summit of High Greygrits is only a few hundred metres from the road. 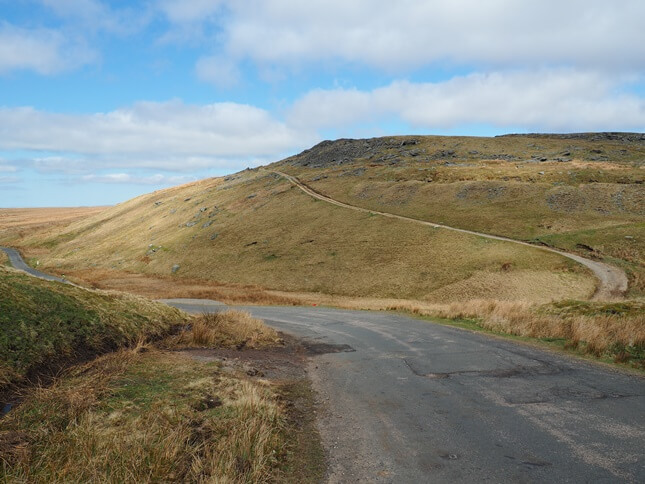 Indeed, if one parks carefully at the side of the road it is probably the shortest walk to the summit of any hill over 500m in the Dales. A good track climbs up from the road and when an obvious quarried area appears on the right simply leave the path to reach the highest point. The summit is marked by an Ordnance Survey trig point. Called simply ‘Grey Grit‘ on the Ordnance Survey’s trig point database the stone column was built in 1960. The trig point must have a local sponsor as on my second visit it had been given a fairly fresh coat of white paint. 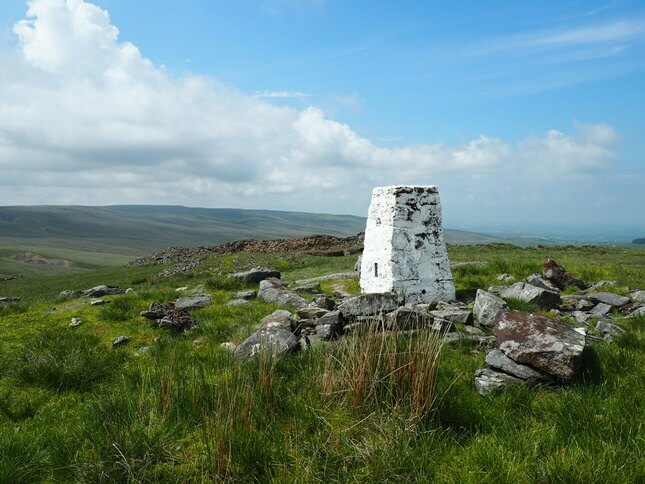 The summit panorama features an extensive view of where the Yorkshire Dales merge into the North Pennines. 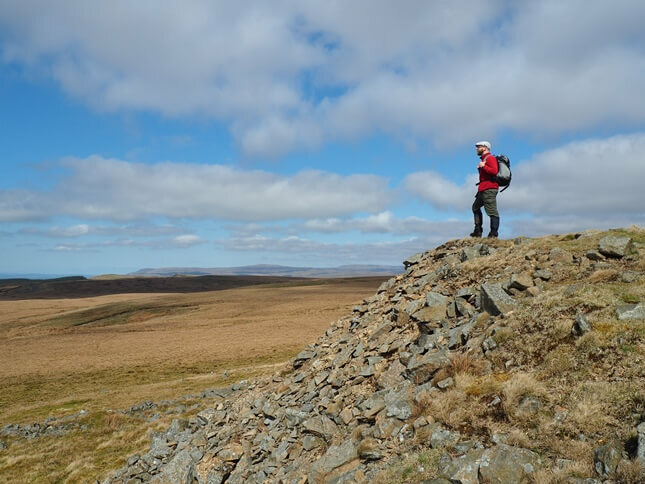 The largely moorland view includes the likes of Rogan’s Seat, Nine Standards Rigg, Moudy Mea and Mickle Fell. To the north of the highest point are two other 520m contour lines, i.e. just below the height of the summit. Even further to the north is Low Greygrits. With a spot height of 514m it is eight metres lower than High Greygrits. Whilst it is not classed as a summit in its own right it still manages to look shapely thanks to steep slopes on its northern and eastern flanks. Low Greygrits is passed on the track continuing on from High Greygrits. The track was presumably built to serve the shooting hut at the top of Ay Gill. Just below the shooting hut is the fine waterfall of Aygill Force. With a drop of over 20ft it is worth visiting especially after a wet spell of weather.